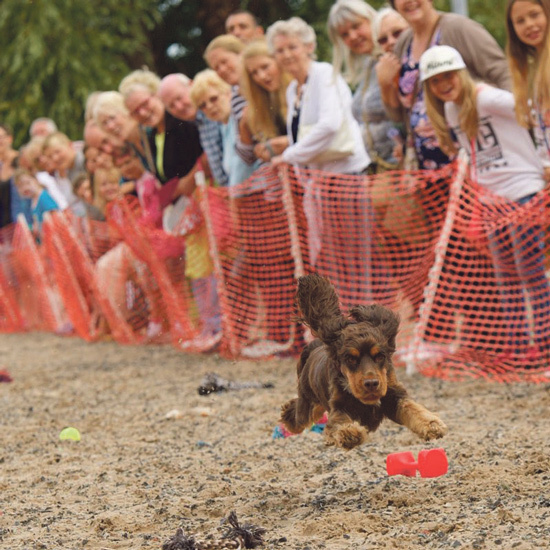 THE Family Fun Day and Dog Show returns to Avon Riding Centre in Henbury on August 21. A busy morning of pedigree judging begins shortly after the doors open at 9.45am, followed by an afternoon of novelty classes. Fun, prizes and rosettes galore are promised including best puppy, best veteran and an award for the best child handler. The event, in aid of South Gloucestershire stray dogs, promises to be a great day out for all the family, with or without a dog. There is plenty to do and have a go at, including craft and gift stalls, doggie themed stalls, lots of kids games and stalls to keep them amused, a child’s pet drawing competition judged by a local artist and face painting. Have a go Agility and Rally-O, Fastest Recall and Doggie games happen throughout the day and if it all gets to be too much for you and your pooch, then it’s easy to slip off for a quiet walk through Blaise Woods at the side. Organiser, Julia Deane, is a volunteer with local group, Friends of South Glos Strays, who help support stray dogs and promote good dog ownership, education, and free micro chipping. See fossdogshow@hotmail.co.uk for more information.